Private Charters to and from St. Martin / St. Maarten $650. Up to 6 Passengers (adults) and $50 for additional persons (adults). Legal capacity 20 passengers. 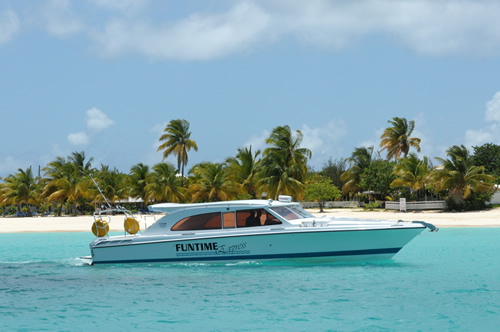 Our fleet of power boats is harbored in Anguilla. Our crews are dedicated to providing the very best of services to every one of our local and visiting clients. To those who are visiting, we hope you will come back again and again.